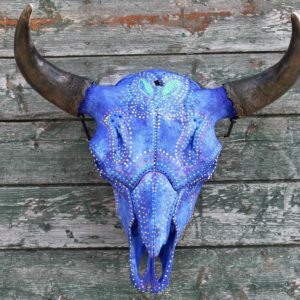 This black and blue skull is speckled with bright orange and light blue dots. 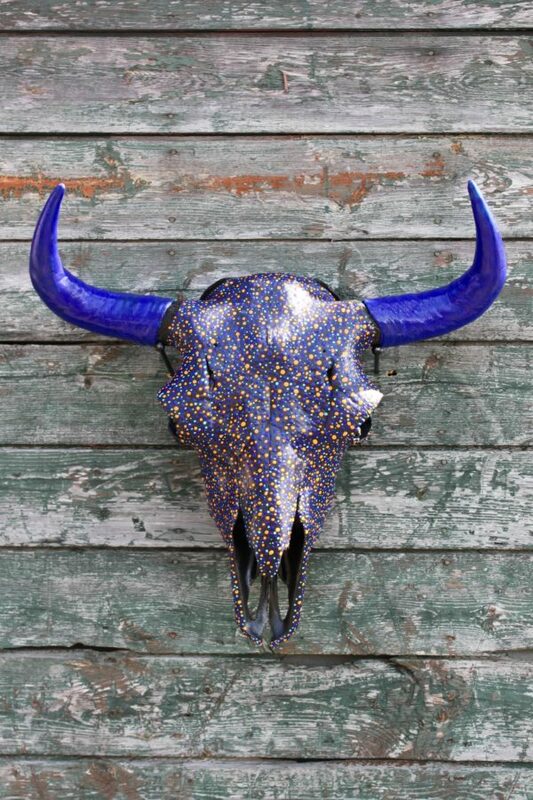 Capped with electric blue horns, this carefully painted piece is simply striking. 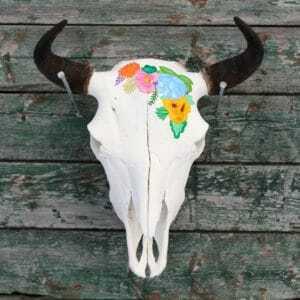 Our skulls are ethically and sustainably sourced natural products. Each one is cleaned, sanitized and hand prepped at our ranch. The result? An authentic and original product you’ll be proud to display! 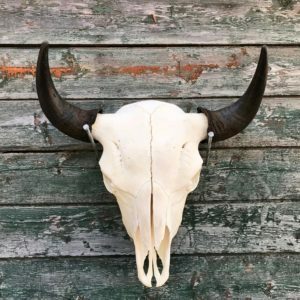 Authentic and original bison skulls from one of Canada’s pioneer ranches. Add a touch of nature to your decor or a unique piece of art to your collection! Cal Knight creates for the journey and thrives on challenges. He paints whatever he can get his hands on: found objects, paper, canvas, wood. 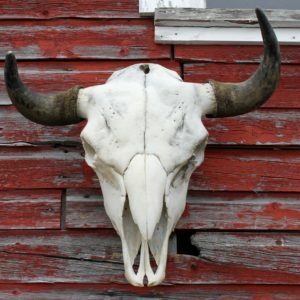 Even bison skulls.